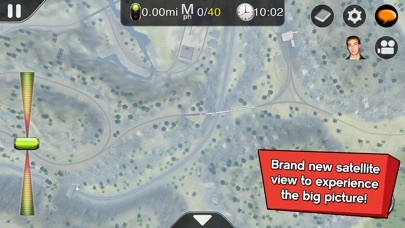 The most realistic Train Simulator on mobile, Trainz let's you DRIVE, EXPLORE, and now CREATE your own tracks too! Drive your favorite trains in an incredibly real 3D world - and now enjoy multiplayer co-operative sessions with players from around the world. Choose from a range of prototypical routes and arcade style sessions - there is something here for everyone aged 4 to 104! Easy to use interface designed apecifically for the smaller form factor of your iPhone. 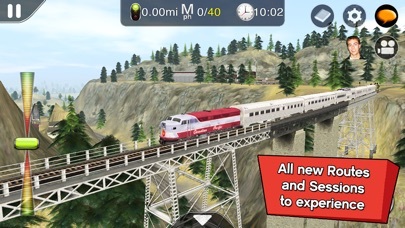 Based upon world's favorite train sim, "Trainz Simulator 2 for iPad", Trainz Driver 2 is consistently one of the top ranked Simulation and Family apps around the world. With new graphics and new content (including steam engines!!!) Trainz Driver 2 is a worthy upgrade for any train fan. Now with multiplayer and amazing world building tools, you can drive, build and share your love of trains with enthusiasts from all around the world. 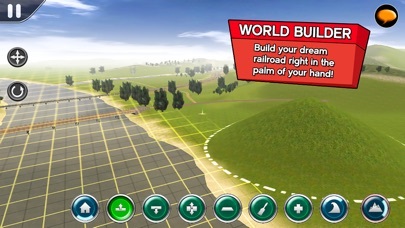 Combined with Trainz Simulator 2 for iPad, you can expand your route with interactive driving sessions using additional rules and commands, then share with others via the DLS. 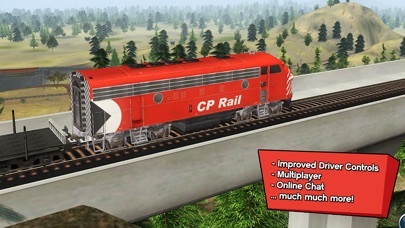 Multiplayer lets you drive trains with both Trainz Driver 2 and Trainz Simulator 2 users. Arrange to play with your friends or join an existing game and participate in co-operative sessions, chatting as you go using iTrainz Chat. Includes routes from USA, UK and Australia along with fictional "arcade" sessions for extra fun and excitement. For the first time, steam engines are included in the core app along with detailed tutorials to teach you how turn a tender full of coal and water into the power required to haul freight and passengers over a variety of routes. Of course a wide selection of diesel locos, freight wagons, tankers, passenger cars and more also await the aspiring train driver...young or old. New content is being released all the time, so you can expand your collection of Routes, Sessions, Locos and Rolling Stock through in-game purchases. by Aidem Media Sp. z o.o.